Hi everyone. 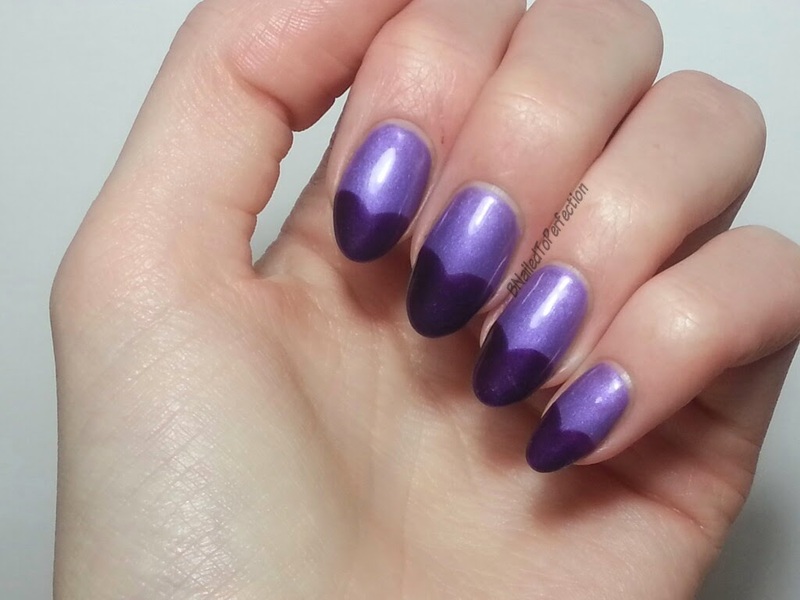 Today I have for you a mani that has hearts at the tips, kind of like a french tip I guess but in the shape of a heart. 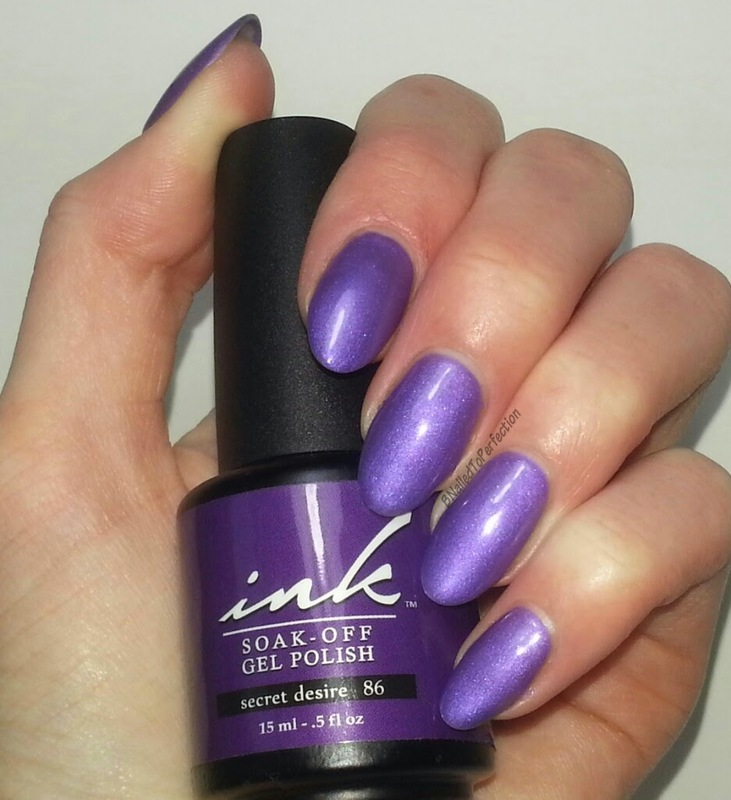 The base colour is Ink in Secret Desire. I used 4 coats, but I think that could be due to my bottle being a dud! The consistency of mine is a bit watery which I'm sure isn't normal. So when I was applying it, it was quite sheer. 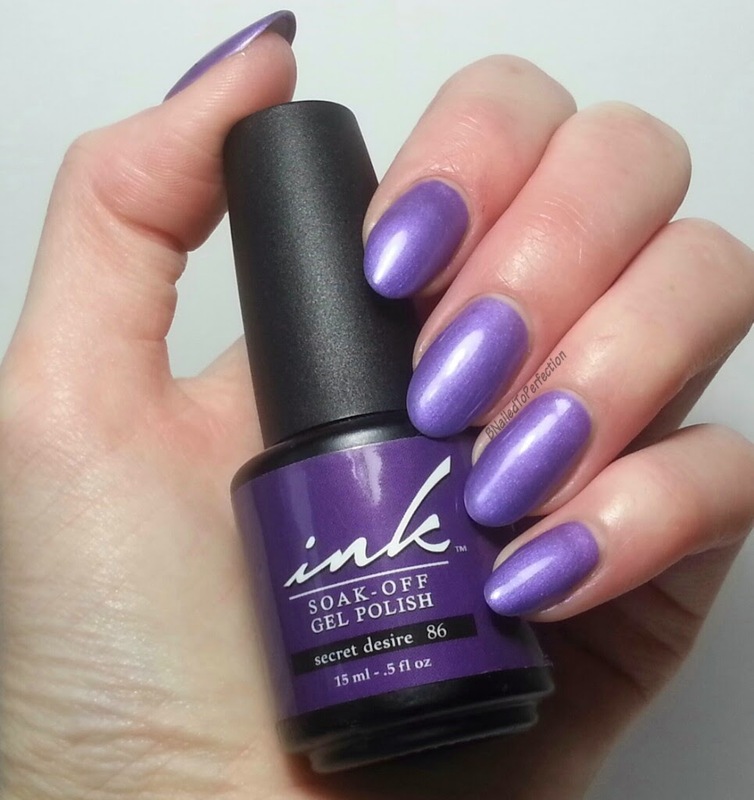 This is a lovely shade of purple and it also has a subtle shimmer to it which you can see in the picture below using flash. 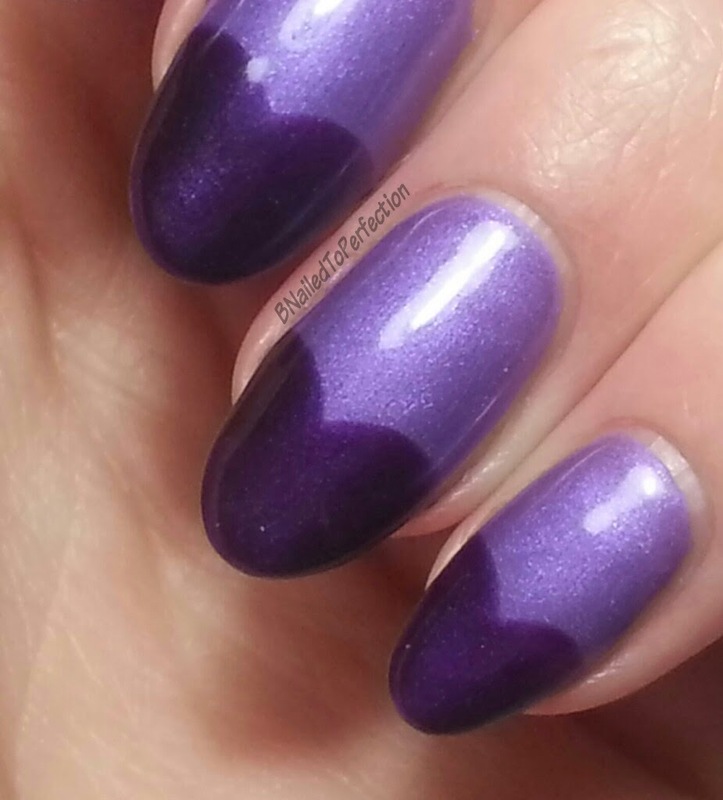 After I did the last coat I removed the tacky layer and decided on Gelish Night Reflection for the hearts. 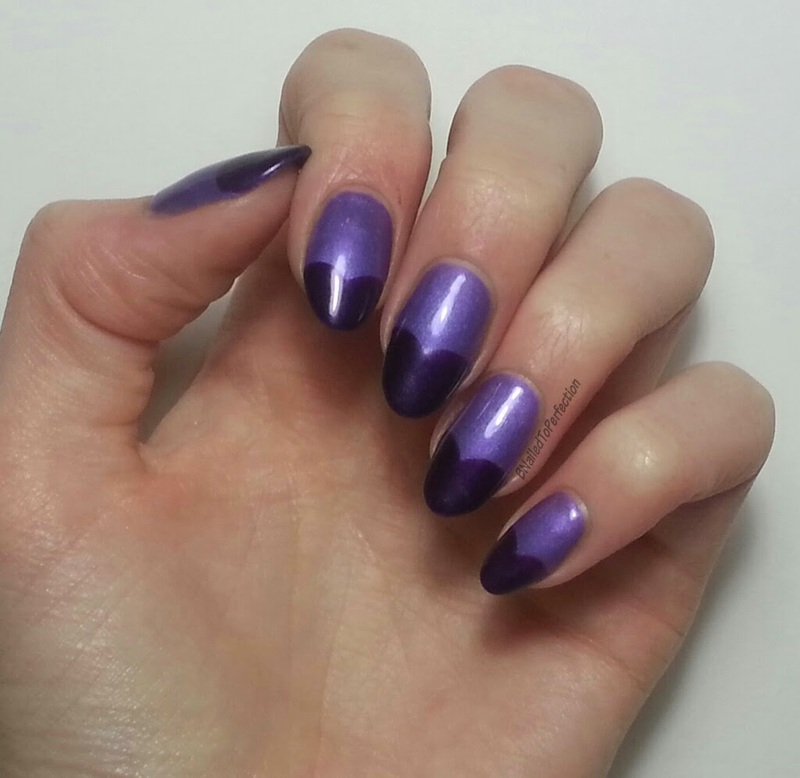 I free handed the hearts by taking Night Reflection, wiped the excess off the brush, then swiped the brush from the edge of my nail and down to the middle of my nail using a curved motion. Then I repeated from the other side of my nail. Once I was happy with the shape I cured and the top coated. Here's a close up of one of my nails.